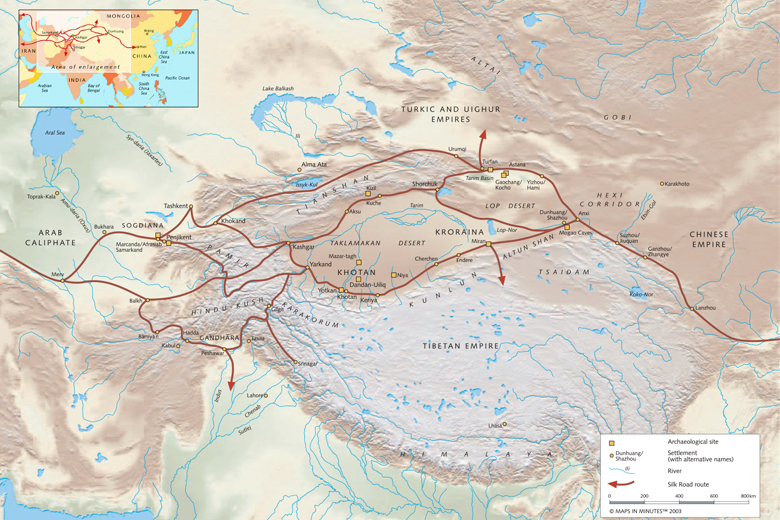 Travel the deserts and mountain passes of Central Asia with From Silk to Oil: Cross-Cultural Connections Along the Silk Road. This book of global studies curriculum, funded by the U.S. Department of Education and produced by China Institute, begins in the second century BCE and ends in the contemporary period. The twenty-three curriculum units consist of a lesson plan, written and visual documents, maps, tables, and even a Silk Roads board game. There is also a glossary; lists of additional resources; and a CD with the entire text and color images-including hotlinks to relevant websites-in PDF format.